It’s that time of year again! Otto’s Artisan Bakehaus is bringing out the big guns buns this year with our spin on the spice-charged, fruit-laden bread that comes with Easter. Those with willpower of steel often hold out until Good Friday for their first butter-daubed bun (traditionally for Christians, hot cross buns can be eaten on Good Friday without breaking the Lenten fast). This is a resolve we at Otto’s can’t help but respect when some stores have been stocking their versions since Boxing Day. … and the wait was well worth it! 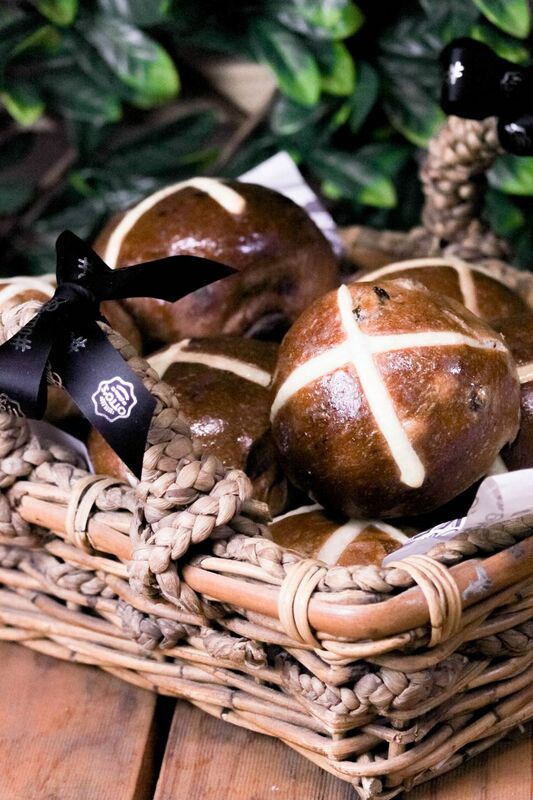 Our hot cross buns, produced by hand by our star Artisan head baker Roman Kucharski, are the result of a firm belief in traditional, wholesome baking methods, 100% real ingredients and a love of simplicity. 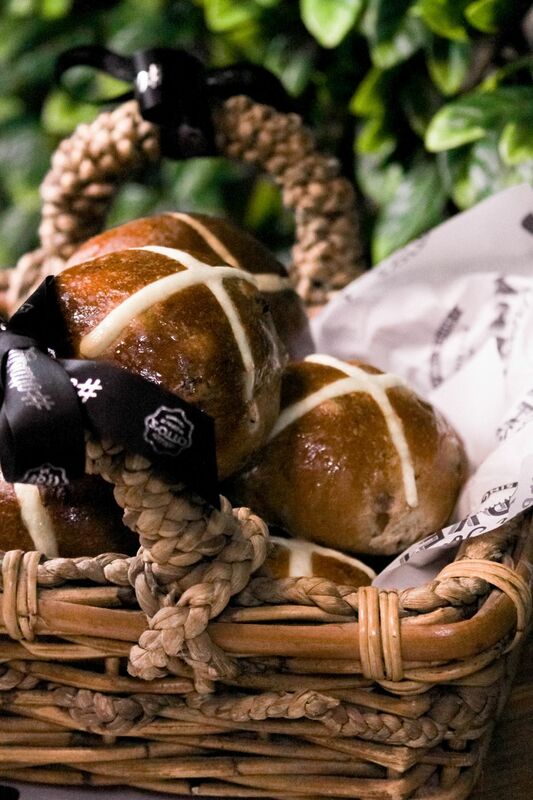 Roman’s refusal to reinvent the wheel culminates in mouth-watering creations that are perfect for the hot cross bun purist. There are no ‘out-there’ flavours here, rather, a simple offering of perfectly curated traditional fruit buns, and our delicious take on a chocolate variety. When Otto’s Artisan Bakehaus jumps on the Easter train, you need to be ready for one hell of a fruit bun ride. 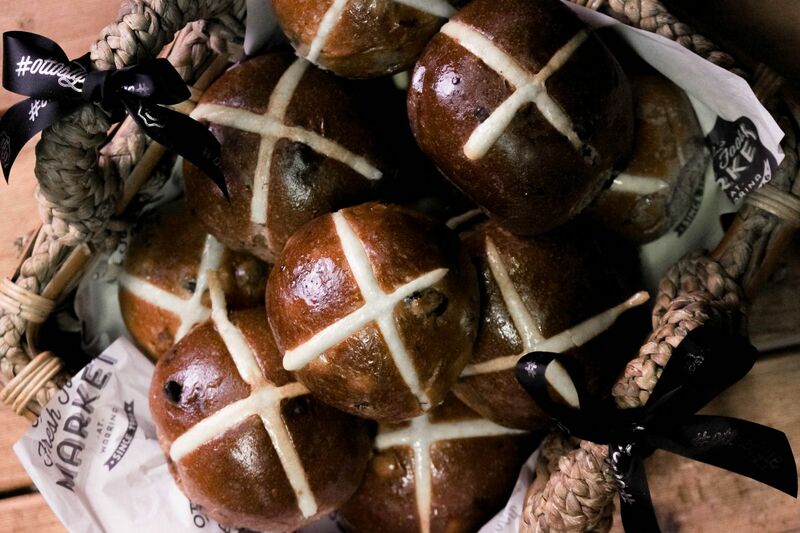 And while Roman and his team closely guard their recipes, what we can tell you is that when it comes to the traditional, classic hot cross bun, they have nailed it. That’s right, our buns are fluffy, spicy, and hit the mark when it comes to the all-important dough/fruit ratio. Studded with sweet sultanas and Australian dried fruits and flavoured with a delicate house-blended spice, we won’t back away from the statement that they are the best around. Oh, and they smell AMAZING! 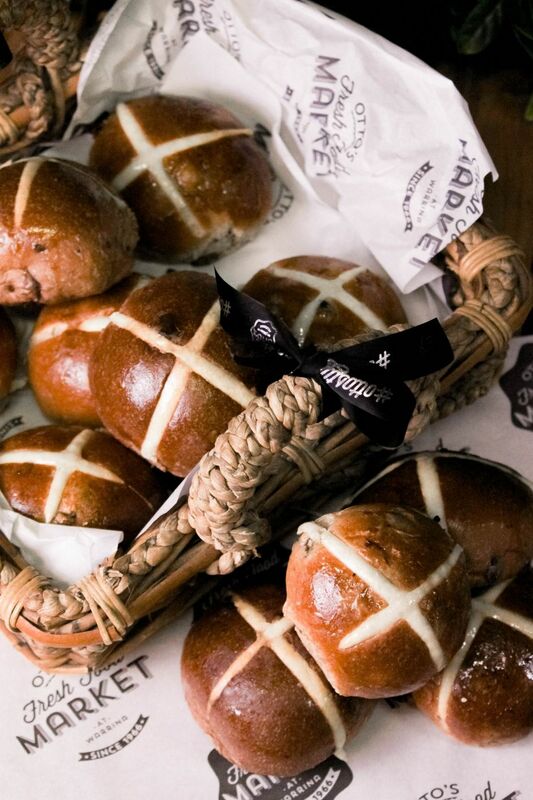 Regardless of which variety you choose, each and every one of our hot cross buns are hand-made fresh daily in our Artisan Bakehaus; a place where a team of dedicated bakers with decades of combined experience will never compromise on quality nor method. All of our ingredients are real – from the butter to the flour, to the fruit, to the spice – every last addition stands up on its own in its purity. There are no pre-mixes, no pre-made dough. No artificial colourings or flavourings, no bulk production methods and absolutely no hidden nasties. What does all this mean? Quite simply, it means that as far as sweet indulgent treats go, ours are the best and safest you and your family could possibly be putting in to your bodies this Easter. So, you heard it here first. 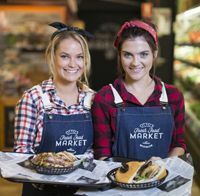 The fluffiest, purest and hands-down most delicious hot cross buns in Townsville are available now - individually for $1.50 or $7.99 for a half dozen. Not bad for a handmade Easter treat curated with the utmost care and respect. So race in today to be among the first to snap these delicacies up and take one (or six) home to share (or not share).